The top concern among Canadian organizations for 2016 is agility, which edges out security, the top concern through 2015. At the same time, interest in Big Data has risen sharply in Canada. Nearly 1 in 3 organizations will move toward their first Big Data experiment/proof of concept this year, while a further 1 in 5 will progress into production. Canadian Government Executive and Softchoice may use the information provided to keep you informed about Dell products, services, and offerings from CGE and Dell companies worldwide. 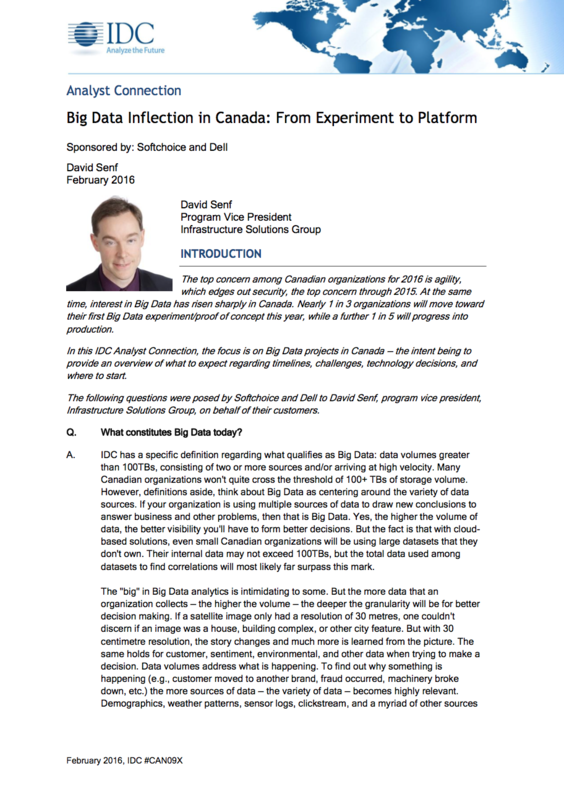 Canadian organizations' use of Big Data is expected to nearly double through 2016. One in six organizations is at a basic level of Big Data maturity today, while one in three says it will be starting the first Big Data projects in just 12 months. Canadian finance and public sector services lead the way. The largest challenge facing these organizations is the skills gap among both IT and the business, as fewer than one in five organizations has the talent they require. 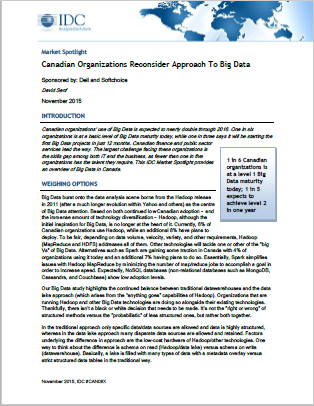 This IDC Market Spotlight provides an overview of Big Data in Canada. Technology surrounding the datacentre is changing quickly, from PaaS and IaaS uptake to smartphones and sensor proliferation to predictive analytics and cognitive computing growth. Yet within most organizations, the datacentre itself looks rather similar today to how it did several years ago.. 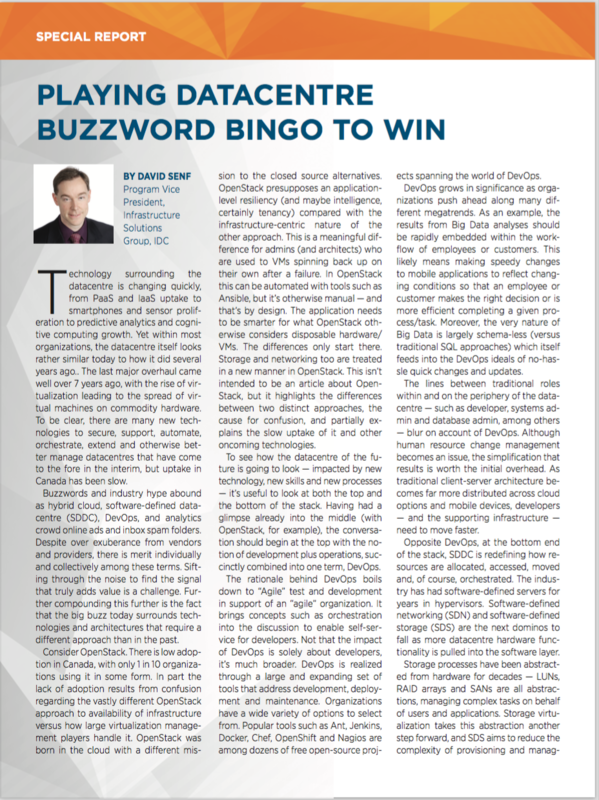 The last major overhaul came well over 7 years ago, with the rise of vir- tualization leading to the spread of vir- tual machines on commodity hardware.